GP1800 Series for 9.5" Guard, SailPods are for mounting a single radar or chartplotter at the helm where you can easily operate and clearly see the fine details of the screen. &nbsp;A single SailPod is best mounted on a Single Bend AngleGuards or use a Double Bend AngleGuards to fit an InstrumentPod on the top vertical section and SailPod below on the angled section. All NavPods are manufactured with a double gasket system providing an excellent watertight seal between the front and back of the NavPod for protection of your Marine Electronics. 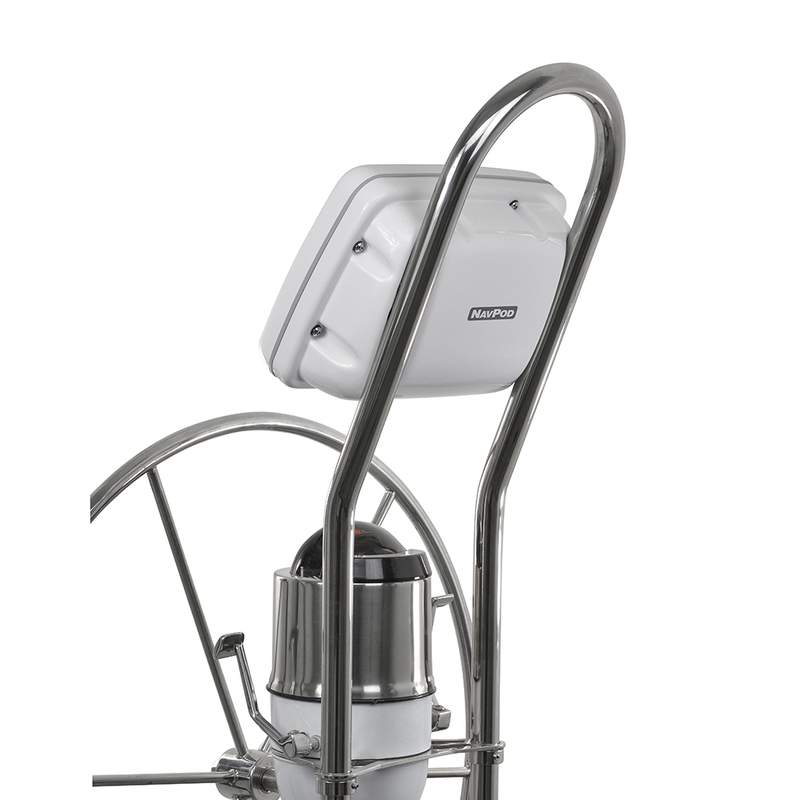 NavPods are made to withstand the harshest of wet offshore boating conditions. Gen3 enhancements include a thicker external silicone gasket with improved flush fit. The internal EPDM gasket is now 50% thicker and is not subject to “compression set” like many rubber compounds. This is important when you need to open the NavPod in the future to service your electronics. Heavy-gauge thermoforming is considered an art since many processes come into play. It all starts with the design and development of the tooling. We are fortunate to have experienced in-house design engineers who utilize CAD programs like Solidworks, Catia and AutoCad. Surfcam is used to interface with our CNC machining centers to produce quality tools with precision tolerances. For 2015 we have re-designed and re-tooled all of the popular NavPods. We have reviewed all of the former products and selected the best design elements of each and incorporated them in every new Gen3 product.